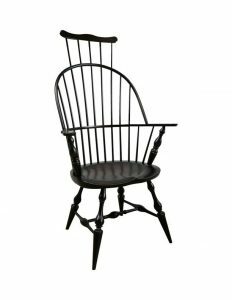 The features of a Windsor chair contribute to its comfort, strength and style. 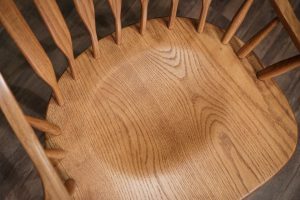 We’re taking an up-close look at the features that make Windsor chairs look, feel and perform the way they do. What’s the basic breakdown of the Windsor form? The Windsor consists of spindles attached to a solid wood seat. Windsor chairs are light, durable and contoured to fit the human body. What’s special about Windsor seats? The seat stabilizes the upper and lower portions of the chair. Legs are securely attached (jointed) to the bottom (the thickness of the seat is important in order for the legs to be attached properly) and the back (spindles) and arms of the chair are securely attached (jointed) into the top of the seat creating an efficient design. A seat scooped for comfort. 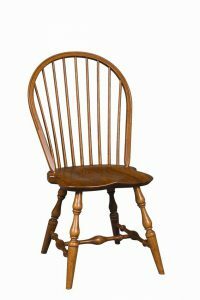 The scooped saddle seat of the Amish Reproduction Windsor Bar Stool has curved sides and a ridge in the middle at the front of the seat. The saddle seat offers a comfortable fit for the legs as they rest in the chair. 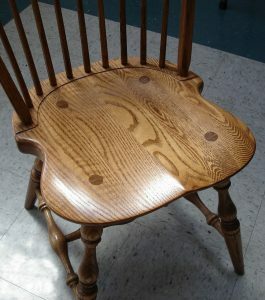 Windsor chair seats may be described as shield shaped or oval shaped. The Amish Reproduction Windsor Bar Stool displays a shield shaped seat. The way the spindles are socketed into the seat contributes to the strength of the chair. 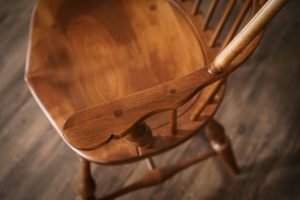 How does the construction of Windsor chair legs contribute to their strength? 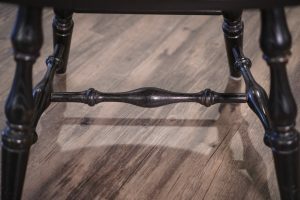 Windsor legs can be either plain or turned and are set at an angle. 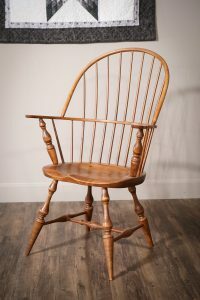 Windsor chairs have stretchers that connect the front and back legs with a cross stretcher connecting them. This is called an “H stretcher assembly” and provides the proper tension between legs. The H stretcher assembly of the Amish New England Windsor Dining Room Chair. Look for wedged-through mortise and tenon joints as signs of strength for a Windsor. The legs are extended right through the seat with a wedge driven into the end of the tenon to make for a tight, strong joint. The circles represent the tenon of the legs that are securely attached to this Windsor seat. 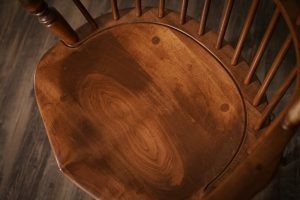 An up close look at the seat of the Amish Early American Classic Windsor Dining Chair. The circles represent the secure fastening of the legs. 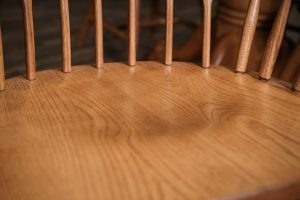 How are Windsor chair backs made? Traditional designs for the backs of Windsor chairs include 7 or 9 spindles. The top bow of the chair is made from one piece of wood that is carefully steam bent. 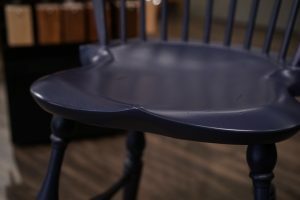 For Windsor chairs with arms, this steam bent piece serves as the top rail of the chair and the arms. 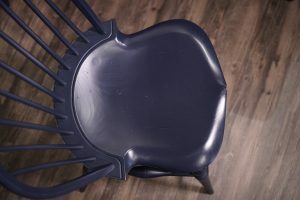 The chair back can be either rounded or squared. The spindles for the chair back are very sturdy with mortise and tenon joinery. *A mortise is a hole cut into a part. 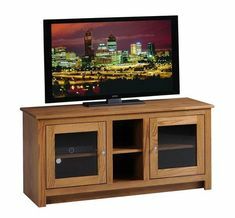 It is designed to hold a tenon that is inserted to join and lock the parts together. This produces a very strong connection that will not come apart easily. 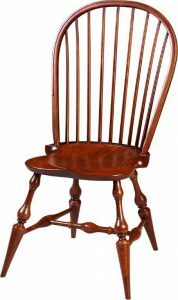 This Windsor chair shows off 9 spindles and the graceful curve of a continuous bow arm that’s been steam bent. The spindles for this Windsor are secured through the chair arm and contribute to a beautiful back. Through-tenons are visible in the chair arms. And tenon joints show spindles mortised through the bow of the chair. 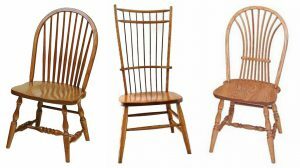 The Amish 9-Spindle Dining Room Chair, the Amish Cage Back Windsor Dining Room Chair and the Wheat Back Windsor Dining Chair by Keystone all exhibit different spindle back looks. 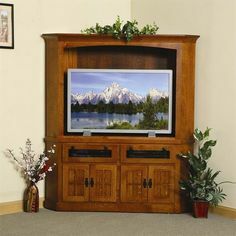 What is the Multi-wood Construction Option? Eighteenth century Windsor chairs used three or more wood types to withstand stresses on different parts of the chair, while contributing to the design. The woods were chosen for their structural qualities to provide the right strength, shape and support for the Windsor chair and are known as the multi-wood construction option. 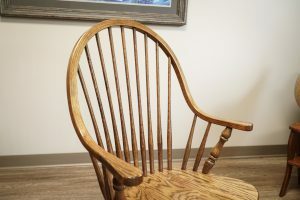 With poplar for the seat, hickory for the bow and brown maple wood for the spindles and stretchers, the Amish Comb Back Windsor Arm Chair offers the multi-wood construction option and is a strong, lightweight proportioned chair. 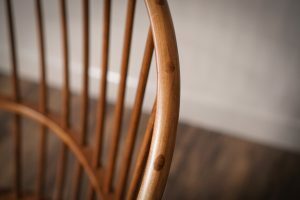 Why do some Windsor chairs cost more or less than others? 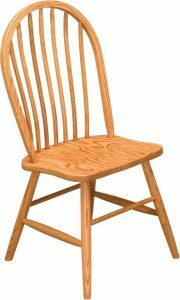 Pricing for different DutchCrafters Windsor chairs reflects the number of features and options they offer. The more features, the higher the price. A lower price does not mean the Windsor is of lesser quality. Here are features that contribute to the price breakdown. 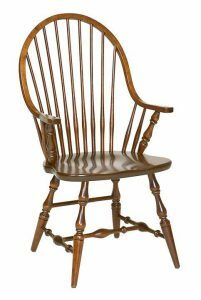 The features of the Windsor chair all contribute to its strength and unique style. Full of extra features or with the basic options, there’s a Windsor to fit every budget for a comfy, versatile seat.